I was recently contacted by a company in the name of Your dreamcatcher to see if I wanted to review one of their clothing items, and I jumped at the chance. Just looking on their website I could see that this was a brand I would love. The clothing range has plenty of options for those of us who love to lounge in comfort, and of course style. 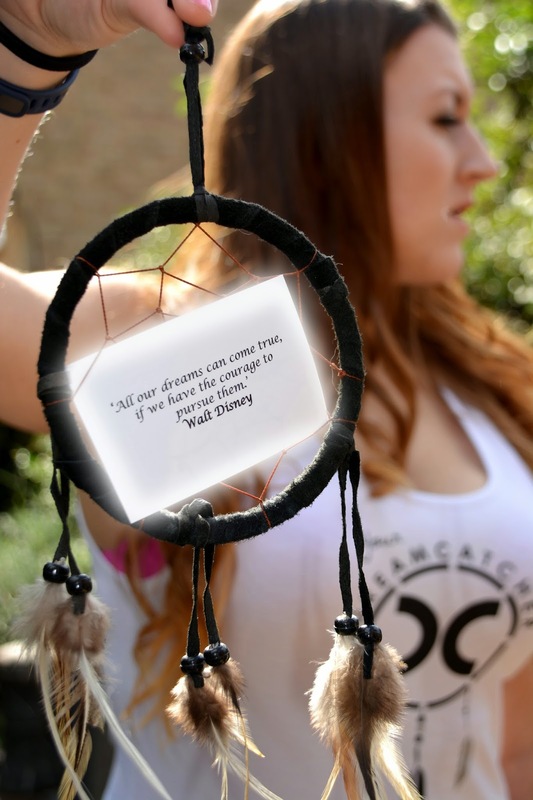 Delivery was really fast and my item was packaged beautifully and included a little business card with a nice quote inside which relates to the brand and how they encourage you to capture and follow your dreams. I received the white fitted vest which I thought looked really good on the website and had a multiple range of uses. I planned to wear this for working out, and generally lounging around the house but I thought this vest was also nice enough to wear with some jeans too. That's what I love about this brand, you can wear their clothing for any scenario. The website stated for a looser fit to buy 1-2 sizes bigger so this is what I did so that it wasn’t too tight/ but I wanted quite a slim fit so that it didn’t irritate me when working out. The length is perfect, and sits just beneath my waistband. This vest is 95% cotton and is really soft and feels really luxurious. It is so comfy, I was happy to wear this around the house and whilst doing daily chores. The logo is a dreamcatcher with the company name around it which I think is really stylish and funky. It is also of a good quality, I love that it’s so prominent as well! They also have a range of really beautiful handmade jewellery featuring dreamcatcher charms and it’s very reasonably priced. I have my eye on the anklet! I also think some of my friends would love the jewellery range, and Christmas isn’t far away now! Overall, I am really impressed by this brand and urge you to check them out! The website and links can be found below :). *I was sent these products for the purposes of a review. This post represents my honest opinions.